Mella Dee and his Warehouse Music imprint has quickly become a UK club staple, his breakthrough record 'Techno Disco Tool' still rinsed at peak time by DJs of all styles and racked up over 1m plays on YouTube alone. We wanted to find out more about his harder and faster sound and the gear that goes into making it – more specifically, what piece of gear he couldn't live without. Find out below and make sure you cop his new single 'Exactly Mate', out on Warehouse Music on November 30th. "I got this probably 6 months ago now but I'd been looking for one before that, they just don't tend to come up for sale that often due to the fact they're such a good machine. "You can mould the shape and sound easily from punchy 909 style to big bass heavy 808 booms"
"It instantly became my go-to for my drums as I've always been a big fan of 909-style drums and had been using a TR8 previously. 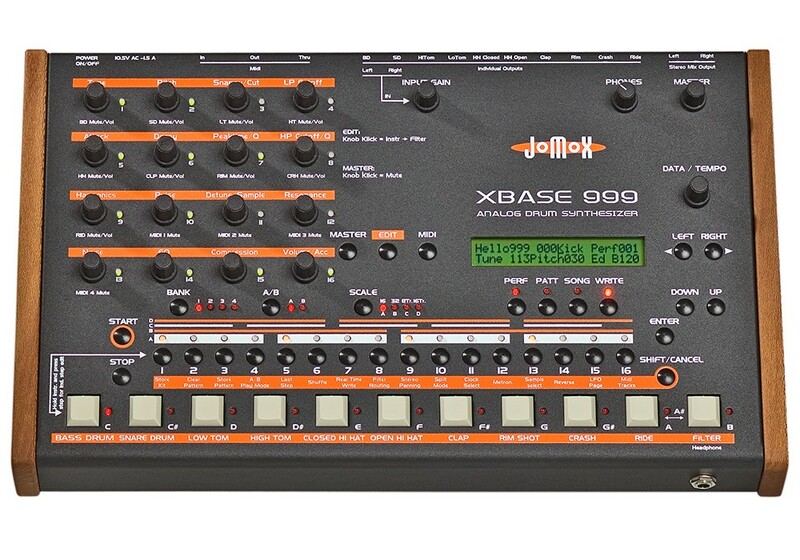 The Jomox Xbase 999 takes them to the next level with the amount of parameters you can tweak and the general sound you can get from them really is incredible, it blew me away from the go." "The kick drum section is amazing and means you can really mould the shape and sound of it easily from punchy 909 style to big bass heavy 808 booms and everything in between. "I'm always on the look out for new additions to the studio but this is one piece of kit that I see staying at the forefront of my studio for a long time, it's quite a unique sounding machine and the build is great. It has individual outs for every sound so coupled with my Midas Venice desk it means I have a lot of control over each sound and the overall mix of the drums before I record in, which is always helpful when it comes to making sure an idea is heading in the direction I want. "If you're looking for the Jomox style kick which really does bang and deserve a place in any studio but don't want to go all the way out trying to find a 999 or 888 then there's the Mbase Kick module which would serve as a more than suitable alternative."